Beagles – bolters by nature – can rarely be trusted off-leash so I was excited when a dog park opened in my city. The park is a subset of a county park, with a fence around the exterior, a solid path circling the perimeter, and a large pond in the middle with tons of old growth trees towering overhead. I walked Indi on a leash for a few minutes, wondering what she’d do when I set her free. She led the way as she always does, nose to the ground, and when she stopped to sniff a tree, I unclipped her leash and waited with her. Satisfied with extracting all of its scent, she moved on, but remained within four or five feet of me. Sniffing, looking at the other dogs, tail wagging like mad. We continued on for several yards before it occurred to me that she didn’t know she was free. Accustomed to the tether, she continued on as if she was still connected to me. As we continued to walk, she gradually got farther away until she was a good 20 yards ahead of me. She looked around, saw how far back I was, and then looked back and forth from her spot on the path to mine as I walked toward her. She stood like that for several seconds, taking it all in, and then she BOLTED. Took off like a shot, galloping along the path so hard, she sounded more like a horse than a dog. She literally flew down that path and then abruptly stopped, turned around and looked back. There were a few other people and dogs on the path but I could see her scanning the path until her eyes found me. She watched as I continued toward her and then she began moseying along again, nose to the ground, tail a constant metronome. She remained several yards ahead of me the whole time, but our pace evened out and she stayed about the same distance away from me all around the park. Every few yards she’d turn back, look at me, and then go on about her sniffing and exploring. She never went more than 30 seconds or so without finding me in her sight. It was clear she loved the freedom of being alone and free on the path, yet she wanted the reassurance of knowing that I was still there, and that I wasn’t leaving. I imagine it’s close to the same blessed relief I feel knowing that the Father will never leave me alone on the path. While I still have the freedom to explore my path, I pray that I continue to follow where He leads me, always making sure that I don’t stray too far away. Lord, help me to keep my eye on you, and guide my feet on the path that leads ever closer to you. Aww! Patricia, she’s so cute! I feel like I’m a lot like her, not knowing I’m free and checking back to see if someone is still there. I also look on nervously to see if it’s okay, like I’m looking for approval but also want them with me. I think I’ve learned a lot about God and how he made us through animals: he wants to be with us so much, whether it’s sitting still or running around. He enjoys us. Something I’m still learning. Thank you for sharing this. 🙂 visiting from fmf. Hi Patricia! I’m stopping over from FMF. Your sweet Indi is such a cute pup. I love this account of her never going too far without checking to see if you were still there and if she was on the right path. Isn’t it cool how the Lord can teach us truths through a four legged friend? Thanks so much for sharing. I don’t think I’ve ever visited your place here in bloggy land and think I’ll look around a bit if you don’t mind. Hope you have a blessed day! Your dog is lovely and I love the link you make here. It is reassuring that while God gives us freedom he doesn’t leave us alone on the path and we can always turn around to see that he’s there. What a sweet puppy! I love when God uses everyday life to illustrate His truth. Thank you for sharing! 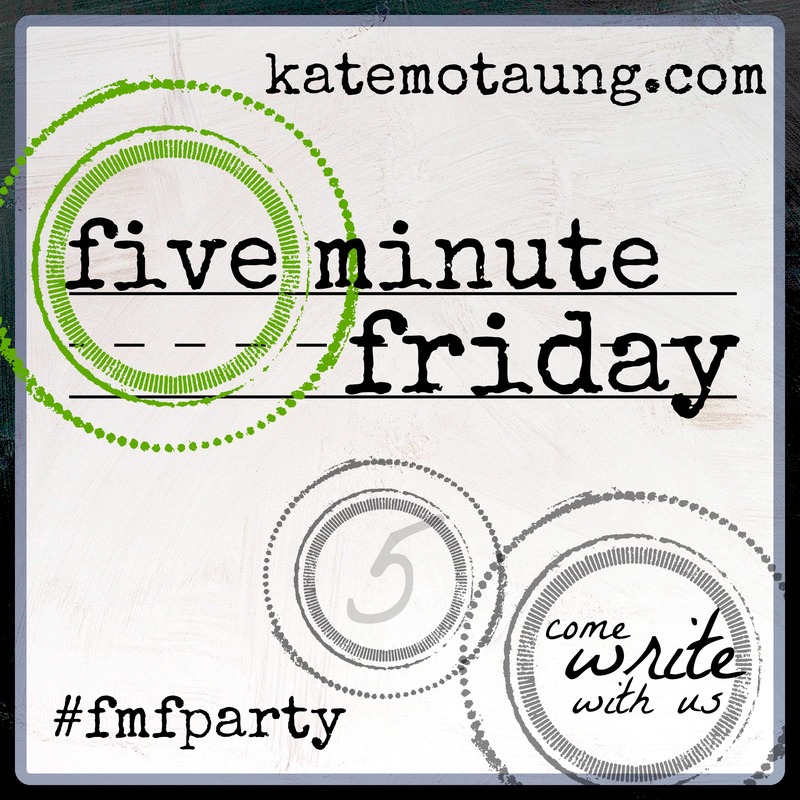 Glad i stopped by from Five Minute Friday! Blessings!